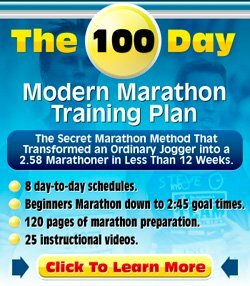 I am 50 years old and ran every day for a year until I was doing 4-5 miles a day. For the past two months I have been struggling to do just two miles. I stretch but my calves still get tight and feel like dead weight when I run. I took time off for two weeks and this didn't help. What's wrong? Thanks for your question. Bit of a late answer to your question, sorry for that. There are different reasons why you could be suffering from this prolonged muscle stifness / muscle pain. One reason could be a strain or some other injury, but I'd imagine there would have been some more pain. Another reason can be overuse, but again, you have been running 4-5 miles constantly, you are very used to that type of running. This could be caused by some medicines, but not sure if you are taking any? Then there are several disorders (don't panic yet, it is not necessarily something very bad) that can cause this like chronic fatigue or metabolic disorders that cause your muscles to not replenish their energy stores properly. You could try to go for a massage and see if that helps. If symptoms persist, I think it would be wise to go visit your doctor and find out what is the exact issue.